A captivating novel of Renaissance Italy detailing the mysterious life of Bartolomeo Scappi, the legendary chef to several popes and author of one of the bestselling cookbooks of all time, and the nephew who sets out to discover his late uncle�s secrets�including the identity of the noblewoman Bartolomeo loved until he died. When Bartolomeo Scappi dies in 1577, he leaves his vast estate�properties, money, and his position�to his nephew and apprentice Giovanni. He also gives Giovanni the keys to two strongboxes and strict instructions to burn their contents. Despite Scappi�s dire warning that the information concealed in those boxes could put Giovanni�s life and others at risk, Giovanni is compelled to learn his uncle�s secrets. He undertakes the arduous task of decoding Scappi�s journals and uncovers a history of deception, betrayal, and murder�all to protect an illicit love affair. As Giovanni pieces together the details of Scappi�s past, he must contend with two rivals who have joined forces�his brother Cesare and Scappi�s former prot�g�, Domenico Romoli, who will do anything to get his hands on the late chef�s recipes. 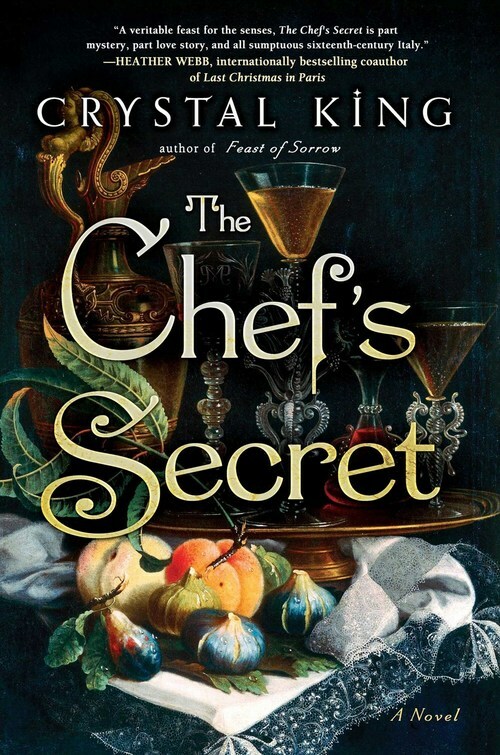 With luscious prose that captures the full scale of the sumptuous feasts for which Scappi was known, The Chef�s Secret serves up power, intrigue, and passion, bringing Renaissance Italy to life in a delectable fashion.